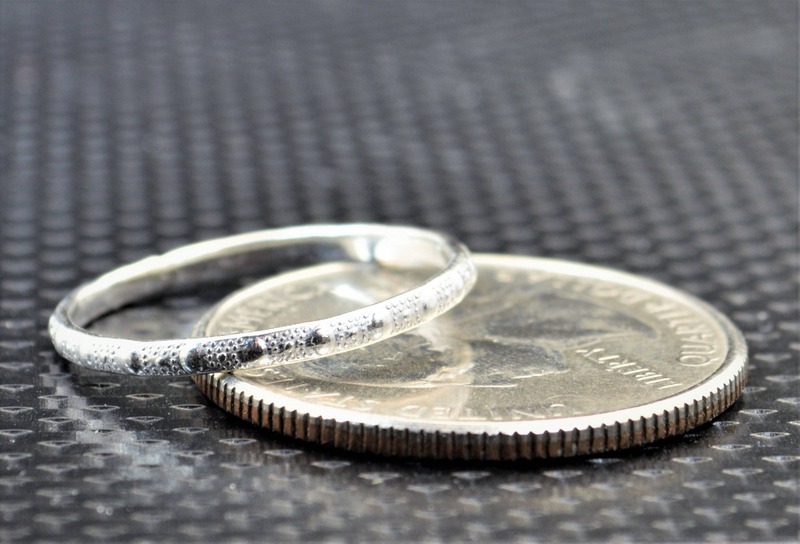 - Sturdy Silver Stacking ring with delicate beaded design on a textured background. • Each ring is about 1.07mm tall x 1.68mm wide. The ring is very beautiful and I am happy. I requested to see if the ring could be mailed sooner than the estimated ship date, the shop was very accommodating and ship it right out. Very pleased with both product and service. 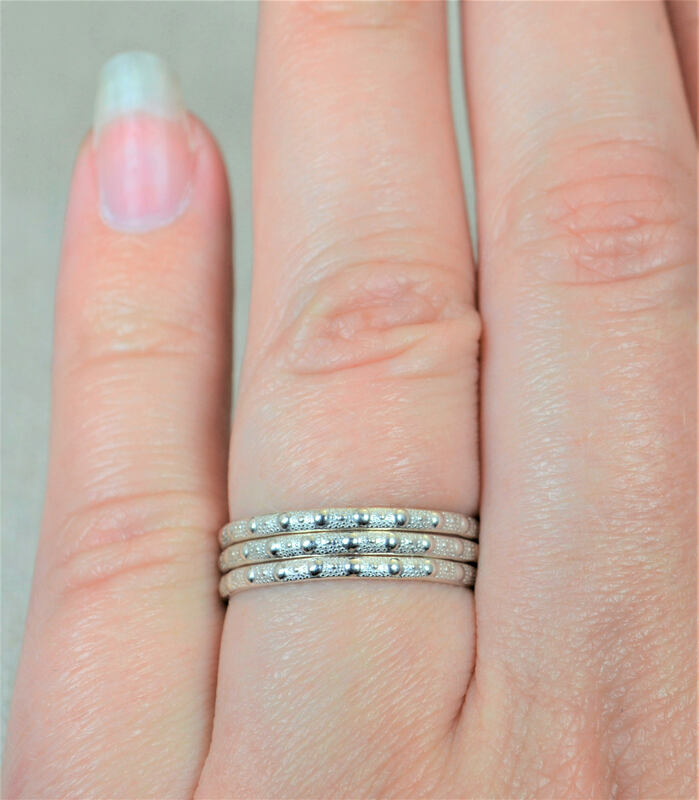 This ring has a lot of character, it pairs well with two smooth thin rings, or rose gold rings for variety. Super elegant, simple, and beautiful! 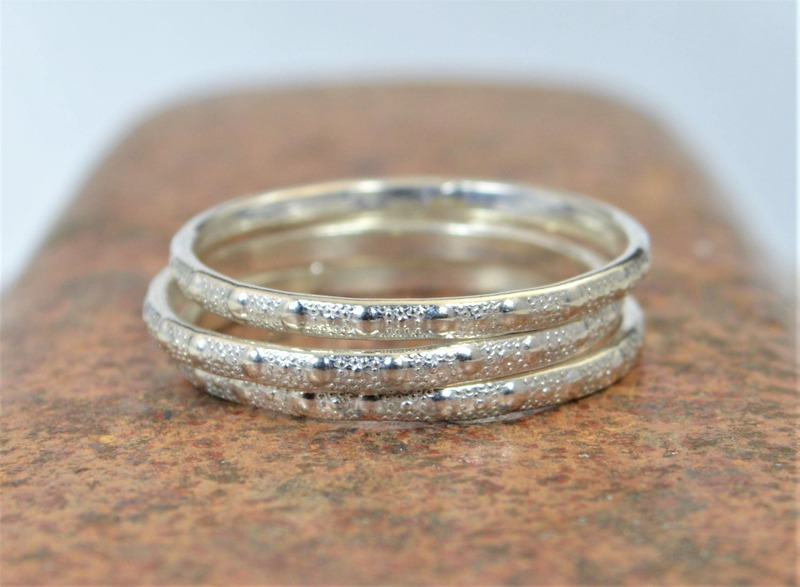 Gorgeous textured ring, perfect for stacking with others. Great communication and delivery was made in good time. Thanks Alari design!